Former military dictator Muhammadu Buhari has become Nigeria’s president elect after defeating current president Goodluck Jonathan in the first democratic change of power ever in Africa’s most populous nation. Mr. Jonathan last Tuesday publicly conceded defeat, expressing his gratitude for the opportunity to lead the nation. “I promised the country free and fair elections. I have kept my word,” the 57-year-old said in a statement after the final results were announced with Mr. Buhari some 2.57 million votes ahead. Mr. Jonathan’s defeat is the first time in Nigeria’s brief democracy that a sitting president has not won a second term or handed power to a nominated successor. Mr. Buhari, 72, who ruled with an iron fist in the 1980s, had challenged President Jonathan over his record on fighting corruption and dealing with the Boko Haram insurgents who have killed an estimated 10,000 people across the country. While Mr. Jonathan has made some significant military gains over Boko Haram in recent weeks, it appears to have been too little and too late to convince voters, who gave his opponent bigger-than-expected majorities in many northern areas affected by the insurgency. Mr. Buhari’s All Progressives Congress (APC) won 21 states, while Mr. Jonathan’s PDP won 15, plus the Federal Capital Territory at Abuja. Borno state in northeast Nigeria, worst-hit by six years of Boko Haram violence, voted overwhelmingly in favor of opposition candidate Mr. Buhari, with 94 percent support. Mr. Buhari also took the city of Lagos, Nigeria’s major commercial hub and home to an estimated 20 million people. Mr. Jonathan, by contrast, was hurt by low turn-outs in his many of his own heartlands in Nigeria’s Christian south, where Mr Buhari took up to a third of the vote in some areas. Most will see the outcome as a verdict on Mr. Jonathan’s lackluster presidency, which was exemplified on the international stage by his tardy response to Boko Haram’s kidnapping of more than 200 schoolgirls from the north-eastern town of Chibok last April. Their whereabouts remain unknown. NOTE: The CIA World FactBook reports 50% of Nigeria’s population is Muslim, 40% are Christians and 10% adhere to local religions. But a December 2012 report on religion and public life by the Pew Research Center stated that in 2010, 49.3 percent of Nigeria’s population was Christian, 48.8 percent was Muslim, and 1.9 percent were followers of indigenous and other religions, or unaffiliated. 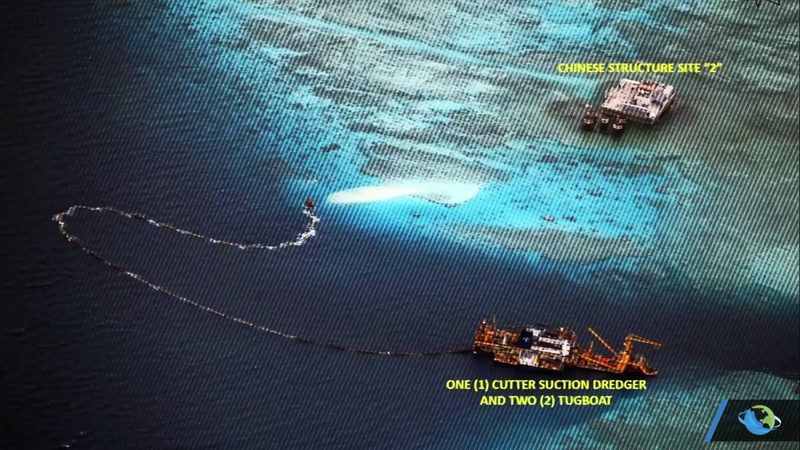 China’s controversial island building projects in the South China Sea are a “provocative” attempt to build a “Great Wall of Sand,” the United States’ top navy official in the Pacific has warned. Land reclamation in contested areas risked triggering “confrontation,” Admiral Harry Harris Junior, the commander of the US Pacific Fleet, told a conference in Canberra, Australia. “China is building artificial land by pumping sand on to live coral reefs – some of them submerged – and paving over them with concrete. China has now created over 1.5 square miles of artificial land mass,” he said. 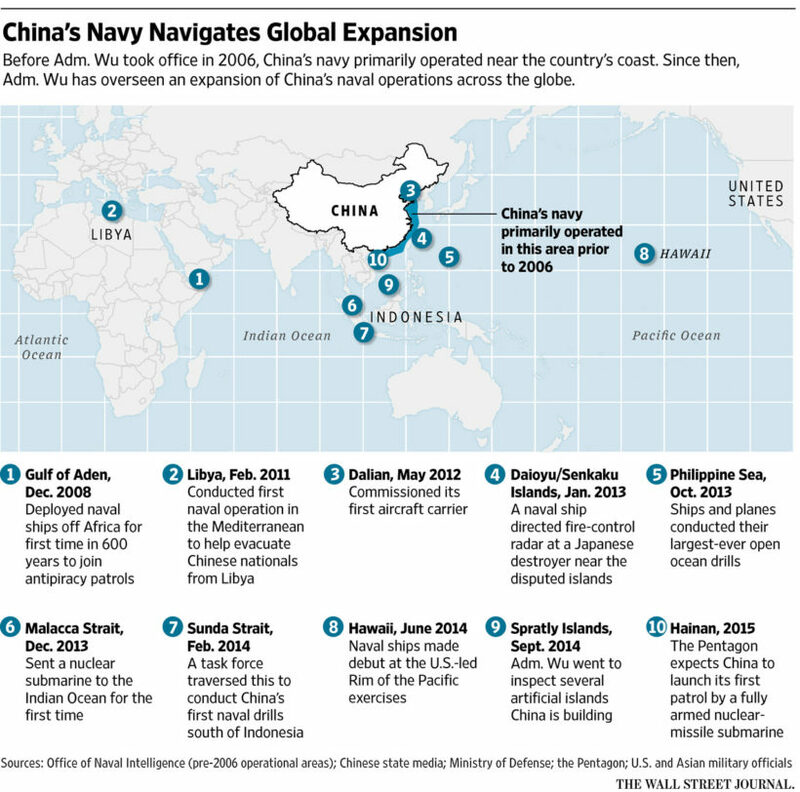 “How China proceeds will be a key indicator of whether the region is heading toward confrontation or cooperation.” The creation of artificial islands on South China Sea reefs – something analysts say is intended to consolidate Chinese control of the region – is one of the most visible signs of an increasingly assertive foreign policy under Xi Jinping, the Chinese president. Under Xi, who some describe as China’s most powerful and authoritarian leader since Chairman Mao, Beijing has flexed its muscles in regional diplomacy, including clashing with Japan over disputed islands in the East China Sea. In September, Xi Jinping will hold a major military parade in Beijing which has been timed to coincide with the 70th anniversary of the end of World War II but is also intended to help show off China’s growing might. Diplomats and analysts fear tensions between China and Japan could boil over as a result of the parade to which world leaders have been invited but are reluctant to attend. “It is merely building facilities in its own yard,” the state-run Global Times said last month. The government of former army chief Prayuth Chan-ocha (who is now Prime Minister) had faced growing pressure from foreign governments, human rights groups and particularly Thailand’s own business community to revoke martial law. Thailand’s King Bhumibol Adulyadej on Wednesday formally approved a request from the junta that martial law be lifted. “From the outside, the lifting of martial law is good news for business and tourism,” said Thitinan Pongsudhirak, a political scientist and director of the Institute of Security and International Studies at Bangkok’s Chulalongkorn University. 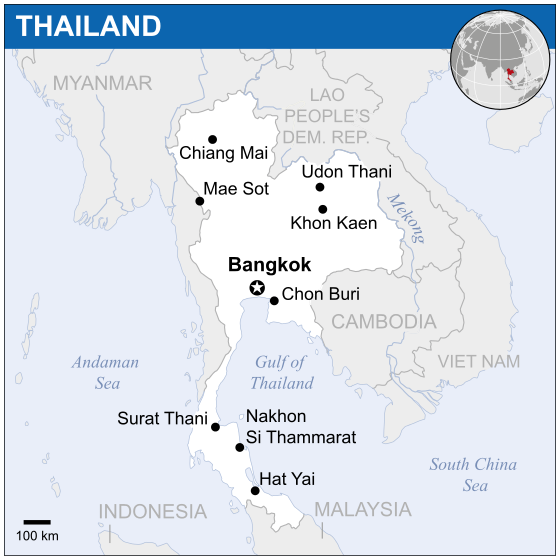 Thailand’s military has a history of intervening in politics, having seized power 12 times since the end of absolute monarchy in 1932. Prayuth imposed martial law on May 20, 2014, when he was the country’s army chief. On May 22, he led a coup that toppled the elected civilian government after months of sometimes-violent street protests. Stability was restored but at a steep price. Thailand’s democratic institutions were dismantled, and the country’s authoritarian [military] rulers have crushed dissent. 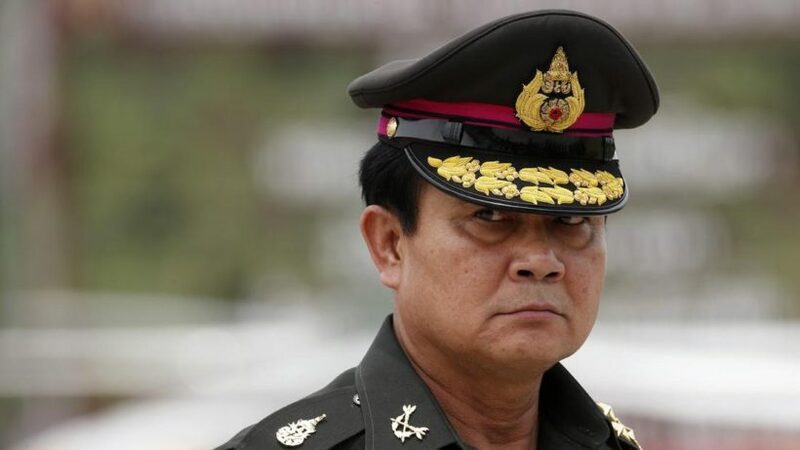 Critics say the coup leaders’ real goal is to eliminate the political influence of former Prime Minister Thaksin Shinawatra, who was overthrown in a 2006 coup. His sister, Yingluck Shinawatra, was ousted by a court ruling just days before last year’s coup and later barred from holding office for five years. Since the coup, the junta has moved to consolidate power. In July, the military adopted the interim 48-article constitution and formed a junta-appointed legislature. In August, the legislature appointed Prayuth as prime minister – a post he said he will retain until elections, though no date has been set. Polls were initially promised for this year, then pushed to sometime in 2016.
b) How do analysts view China’s creation of artificial islands on South China Sea reefs? c) How do some describe President Xi? b) Why are the presidential election results in Nigeria significant? c) What is most likely the reason for Mr. Buhari’s victory? d) Read about Mr. Buhari under “Background” below. Considering his former dictatorship, what do you think is the likelihood that he will be a democratic leader this time around? If he did ‘rule with an iron fist’, but destroyed Boko Haram, would you care if you were a citizen of Nigeria? Explain your answers. b) Define junta, martial law, coup and absolute power. c) Why did the junta lift martial law? Be specific. d) Read the “Background” below about Article 44 in place of martial law. Then read Prime Minister Prayuth’s comment in the last paragraph of the article on Thailand. Should the citizens of Thailand be reassured by the prime minister/junta leader’s assurance? Explain your answer. 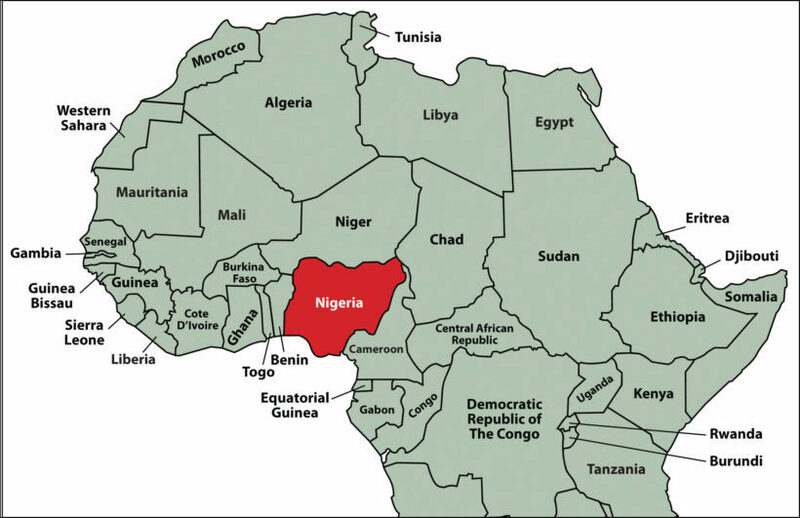 NIGERIA – Nigeria achieved independence in 1960, but plunged into a two-year civil war several years later. It has since alternated between democratically-elected civilian governments and military dictatorships, with its 2011 presidential elections being viewed as the first to be conducted reasonably freely and fairly. Nigeria is often referred to as the “Giant of Africa” owing to its large population and economy. With approximately 174 million inhabitants, Nigeria is the most populous country in Africa and the seventh most populous country in the world. 1 – He Is a Former Military Dictator – Muhammadu Buhari, a 72-year-old retired general, led the country for 20 months after a coup in 1983. He headed a regime responsible for a so-called “War Against Indiscipline,” with police whipping people who showed up late for work or cut in lines. 2 – He Lost Nigeria’s Last Election – This contest is a rematch of the presidential election in 2011, when Goodluck Jonathan’s victory over Mr. Buhari prompted post-election, religious-toned riots that left more than 800 people dead. 3 – He Represents Nigeria’s Muslim North – Mr. Buhari is a Muslim from Nigeria’s impoverished North. Mr. Jonathan, a Christian academic, is from the more-developed South. Mr. Buhari has sought to bridge religious and geographical divides by picking Yemi Osinbajo – a Christian pastor and former attorney general of Lagos state – as his vice president. Mr. Jonathan has sought to do the same with a Muslim VP. 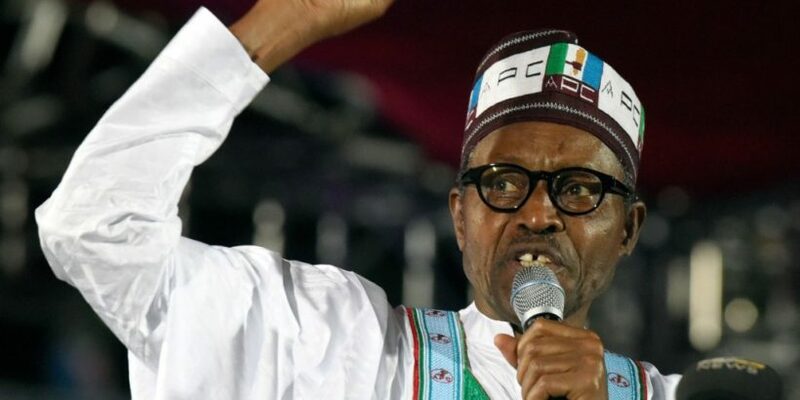 4 – He Campaigned on Anticorruption – Mr. Buhari’s supporters want him to impose the discipline of the 1980’s onto the country’s corruption-riddled government, but economists say such an approach would collide with Nigeria’s entrenched political class. If elected, Mr. Buhari would also have to try to revive an economy hit hard by the crumbling price of oil, Nigeria’s main export and source of government revenue. Fitch Ratings put Nigeria’s government debt on negative outlook on Monday, a sign a downgrade could be imminent. The main difference between the two measures is that martial law – which remains in place in several southern provinces where the army is fighting a decade-old Islamic insurgency – is very specific and Article 44 is very vague. Martial law places the military in charge of public security and allows arrests without warrants, trials of suspects in military courts, bans on public gatherings, and censorship in the name of preserving order.